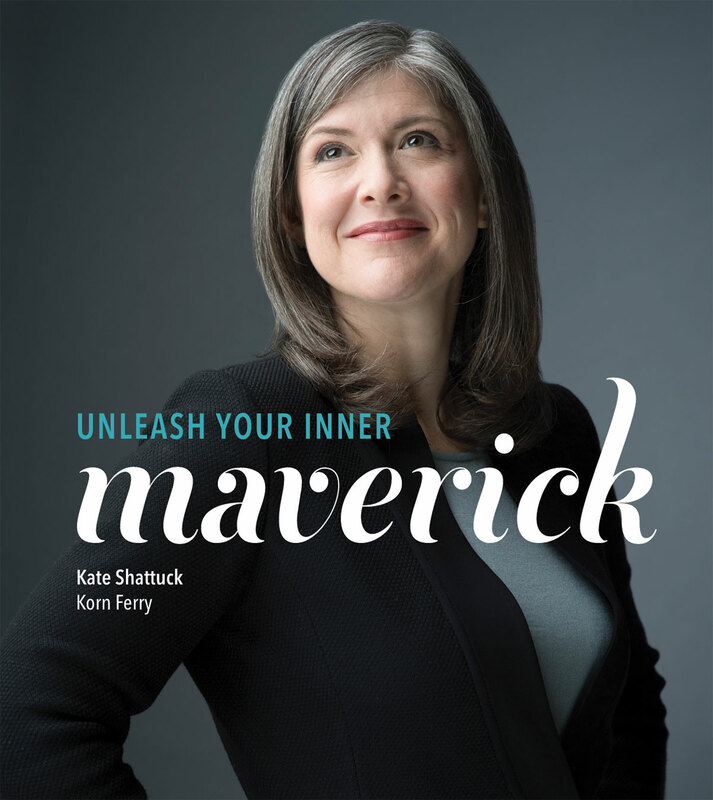 In describing Kate Shattuck, one word sums her up: maverick. She grew up in Towanda, Pennsylvania – a place she says has “more cows than people” – in a humble household with a deeply service-oriented family. As a child, she didn’t have a great deal of professional women role models, but in the nuns that taught at her school and, later, in her high school guidance counselors, she saw fulfilled, service-oriented leaders. Kate’s interest in helping people and a curiosity about what makes them tick has never left her. Her choice of university accelerated her public service path. After reading “Profiles in Courage” by John F. Kennedy as a high school student, Kate was inspired by his Navy experience. She embraced the opportunity to attend the United States Military Academy at West Point, a decision that further shaped her into the values-oriented person she is today. After getting an MBA and a master’s in public policy at Harvard Business School and the Harvard Kennedy School, respectively, Kate worked for Morgan Stanley, Morgan Creek, and PenFed before landing her current role as an executive recruiter at Korn Ferry. In addition to serving financial clients there, Kate has built up a new practice in impact investing, which enables her to maintain her strong community values. I grew up in a small town in Pennsylvania and had a strong Catholic upbringing. Public service was a big part of our life. My mom made two lasagnas on Sunday – one for us and one for someone else. My family taught me that you put other people before yourself. Volunteering wasn’t a resume builder – it was just something that you did. As an idealistic high school student, I read John F. Kennedy’s “Profiles in Courage,” and his Navy experience and later public service inspired me. As president of the student council, with a part-time job and 11 varsity letters, I was well-rounded, and West Point was attracted to that. When I attended West Point, about 10 percent of students were women. West Point has a way of making you acutely aware of your weaknesses. You have to determine who has what skills – I may be good at cleaning sinks, my roommate was a chemistry whiz, and someone else shines boots well – but everyone is on the same team. Your job might be the dirty job or behind the scenes, but it prepares you for work and for life. You’re not going to be great at everything, and you’re going to struggle, but we are going to get through this together. Kate’s formative years were spent in a small town with strong community values and a service-oriented family. Although she considered religious life or becoming a psychologist, an interest in public service, deep patriotism and desire for challenge led her to the United States Military Academy at West Point. At West Point – through the rigors of her academic studies and participation on the swim team – Kate learned important life lessons, such as: not everything is going to be perfect, but what’s important is teamwork and putting one foot in front of the other. Kate was initially reluctant to attend Harvard Business School because she was more interested in getting a degree at Harvard Kennedy School of Government as a means to a public service career. When she realized that the combination of an MBA and MPA could have exponential impact, she decided to acquire both degrees. As a principal at Korn Ferry, Kate uses her insights about people to carefully match executives with financial services opportunities. Recently, she seized a chance to marry her passion for public service and her personal values by launching and building an impact investing practice within her firm. I would recommend West Point to anyone – it is a leadership laboratory. The military is the only place I believe women get equal pay for equal work. You have access to the same jobs, and it’s your rank, not your gender, that determines your compensation. 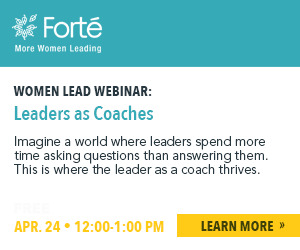 You are a leader, not a “woman” leader. After graduating, I was a lieutenant and was assigned to a combat-ready unit, the First Cavalry Division, so I had the chance to deploy quickly to the Middle East. Almost a year to the day from graduation, I was leading a platoon in Kuwait. There I was, 22 years old, in the middle of the desert as the most senior woman on the leadership team of a unit [independent fighting force] for four months. Less than a year later, we got deployed to Bosnia. The Bosnian conflict had ended already, but there was significant activity around sealed war crime indictments that are only just now coming to trial at The Hague, almost 20 years later. The wheels of justice are slow, but the results of our service are seeing the light of day. Later, I had an opportunity for a significant leadership role, taking command of a 200-person company in Korea. I took command right after 9/11. I was in Korea for two-and-a-half years – the military company was about 200 U.S. and Korean soldiers – 66% of the company were American soldiers and 34% were Korean soldiers. This multicultural, multinational experience helped differentiate me as an MBA applicant and student. Now more than ever in a business environment, we have to question our assumptions and look for unique points of view, so those experiences across the Middle East, Eastern Europe and Asia were foundational for me. I went to the Kennedy School to get a master’s in public affairs and had a year to decompress from the military. I didn’t want to get an MBA, but everybody told me I needed to get one. While I was at Kennedy, I met the CEO of the American Red Cross who had spent 30 years in the Navy. She talked about bringing all her experiences to her role as a CEO, including military assignments in budget and finance. And I thought, “I’m out of the military, I’m a civilian now, so how do I create opportunities for myself as quickly as possible?” I felt that if I didn’t have a fully immersive experience learning finance, I was never going to really learn. My first day at Harvard Business School (HBS) was the first time I read the Wall Street Journal, and I thought McKinsey was a girl’s name! Going to HBS taught me the language of finance. Numbers tell a story. When I open a balance sheet or income statement, now I can read that story and that’s magical to me. The other thing HBS taught me is to be succinct in my communication. I could talk on and on, but HBS trained me not to take up too much air time. Busy people don’t have time to listen to you think through an issue – they want to hear the bottom line up front. After Harvard, I worked in private wealth at Morgan Stanley, then business development at Morgan Creek, and then I was chief operating officer at PenFed’s Foundation. I led PenFed’s social responsibility efforts for five years and expanded their microcredit fund, which gave small loans to veterans and fundraised for a real estate project that provides access to healthcare for elderly and wounded veterans. It was an intersection of purpose and profit…and people. In thinking about what I wanted to do next, I developed four criteria for my next role: I wanted to run my own business; I wanted to make the world a better place; I wanted to stay in the world of finance; and yes, I wanted a shorter commute! A friend said if you’re interested in executive search, you should go to Korn Ferry. They are the market leader in executive search, have great support for veterans, and are also a leadership development company. Korn Ferry is an expert in talent – I sit in the executive recruiting function where I help leadership teams recruit senior leaders to their companies. A recruiter understands who will fit well within an organization. My expertise is the financial services industry so I can offer deep insight to the CEO or to a board of an asset management company or bank before they hire someone. Typically, we recruit for roles that don’t have a lot of room for error, which is why our expertise is valued. For me, the job of an executive recruiter is about changing people’s lives. That excites me. I spend my time deeply learning about the client’s business, interviewing people, listening to their stories, and having authentic conversations with them. We talk about why they love their work and why they chose it. When you see that there is a fit, a fire in the belly of the candidate, and can see how this person can unleash their passion in your client’s organization, there’s no limit to what the company can accomplish with that new leader. I also bring in new business to the firm and spend a lot time learning – we have to be experts not only in our field, but also in critical topics like pay equity. Korn Ferry, for example, has an important engagement with the Rockefeller Foundation to help 100 women lead Fortune 500 companies as CEO by 2025. I’m an ambassador for this new research and find it exceptionally rewarding. Korn Ferry is very intrapreneurial, and I’ve become an expert in impact investing. A partner of mine leads the global philanthropy practice, and she asked me to build a practice with her, within the firm, that combines finance, social enterprise and philanthropy. Over the last few years, it has just taken off. We have executed projects all over the world. The kind of clients who hire us would be asset managers, venture philanthropists, community development financial institutions, banks and organizations that want to invest in their communities, like large foundations. They are often looking to hire someone with the brain of a financier and the heart of a philanthropist. I am on the board of Student Veterans of America, whose mission is to advocate for higher education for veterans. I would like to see more women veterans get MBAs because these women offer so much in terms of leadership. Treat people how they want to be treated. Not everyone wants to be treated how you want to be treated. Killer Angels had a big impact on me when I was at West Point and as a lieutenant. I used to be a competitive triathlete – I did Ironman Lake Placid years ago, but now I do shorter races and just run to work. It is a great stress reliever for me.